Protection of the diploma is the result of years of study in high school, and here every detail is important. Usually before the defense the student is asked to submit several copies of his thesis to the opponents, supervisor and to the Department. You cannot bring your work, which has dozens of pages, in the form of packs of sheets. It is necessary to sew in order to make easy to read. It would seem, a trifle, but if your opponents spend a lot of time analyzing the numbers each leaf, it is unlikely that they will be lenient. The first option is to include the work in a professional Studio, where you can bind all the copies of his work. Usually, in such workshops offer a choice of two options – soft or hardcover. It all depends on how much you're willing to spend on this. Before you give the pile of sheets on the cover, be sure to check that they were in order – the confusion with the rooms can also lead to the fact that the opinion of the opponents and the supervisors will be worse than you expect to receive. Most often, the stitching process of the diploma takes just a few minutes, but just in case go to the shop in advance (a few days before the date). You may offer to the order only a day or two. If your city does not have a binding workshop or you don't want to spend money, you can make yourself a diploma. The stores are usually sold stationery multiple folders, file folders and punch. Try to arrange the work as accurately as possible. If you are looking for easy ways, can sew a diploma, turning it almost into a real book. For this you need a cover – it can serve as a folder or thick cardboard, glue (e.g., PVA) and thin paper. Using tissue paper and glue to fasten the sheets there from the root of your "books". Then make and glue the cover. Detailed instructions for binding books can be found on the Internet. When approaching the deadline of the diploma, students begin to think about how his flash. Strict requirements for binding of the thesis do not allow for design hole punch and a binder. To the most recent and important work of the student look presentable and neat, it can be a twist on plastic comb. 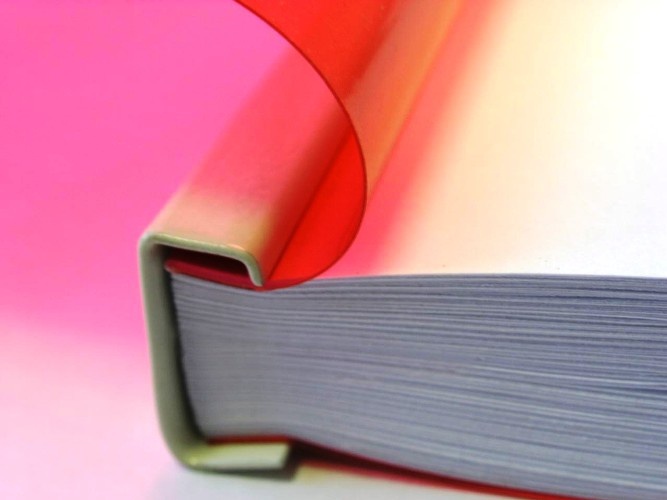 This method of binding will not take much time and will give your work a beautiful and finished appearance and will greatly increase your chances of getting high grades. - plastic spring for binding. To flash the diploma, first place the unnecessary sheet is A-4 in Procurator set the desired width of the sheet, if Procurator adapted for piercing paper of different sizes. If there is such a function, then set the depth of the perforation. The side holders have to be tightly pressed against a sheet of paper on both sides to prevent displacement of the pages when binding. Pull the handle Procurator on and down to check the correct position of the sheet and the quality of perforation. Remove a test sheet of paper and put it aside. Insert a stack of pages in Procurator so that the leaves touched the far wall of the compartment for paper, and was mounted side holders. Page should not protrude from the pile, its edges should be smooth. At the same time do not insert more than 15 pages, as in this case, the hole in the paper may be punched not to the end. Pull the handle Procurator on and all the way down and release it. Do not attempt to penetrate leaves more time for reassurance from an incomplete perforation - re-made holes may not coincide with those that were punched earlier. Remove the sheets from the paper roll compartment. Thus perforeret all pages of the thesis, the transparent and the opaque cover of the diploma. Pull the special lever located on the right side of procuratore towards yourself and select the appropriate spring diameter, following the prompts on the body of Procurator. Place the plastic comb into the comb so that the teeth of the spring was directed upwards. Pull the lever on the right side of Procurator, in itself, the spring is opened up a bit. Take the parts perforated sheets of diploma and wear them holes on the prongs of the spring. When all pages of the diploma will be threaded on the spring return lever to its original position, the spring is closed. Gently pull out the tray for waste paper from the perforation and remove the accumulated paper scraps. insert the tray into place. To add or remove pages from a thesis, do all steps in reverse order. In the research paper, usually no less than 60 sheets. Staple them with a stapler will not work. A regular hole punch will not help either. A diploma should be stitched neatly. 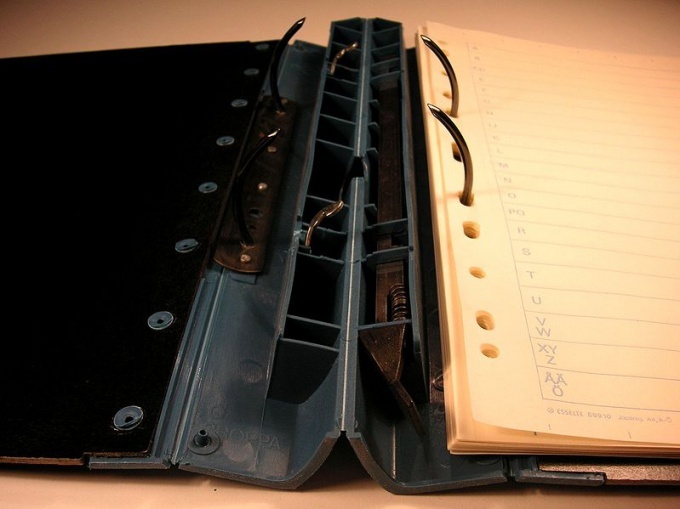 Contact the Bindery is one of the best, but not the only way to accomplish this task. Check with the University requirements for formatting dissertations. In schools, the rules can vary considerably. Sometimes students are even advised to contact the specific workshop. Contact organization concerned with the interweaving of diplomas. It may be copying, publishing and printing center, a Bindery or a shop that sells photographic supplies. To find the right company, use the Internet services helpdesk or stroll around the city, paying attention to the signs. Note that even within one city, the cost of cover is not the same. Select the binding. It is hard and soft (binding). 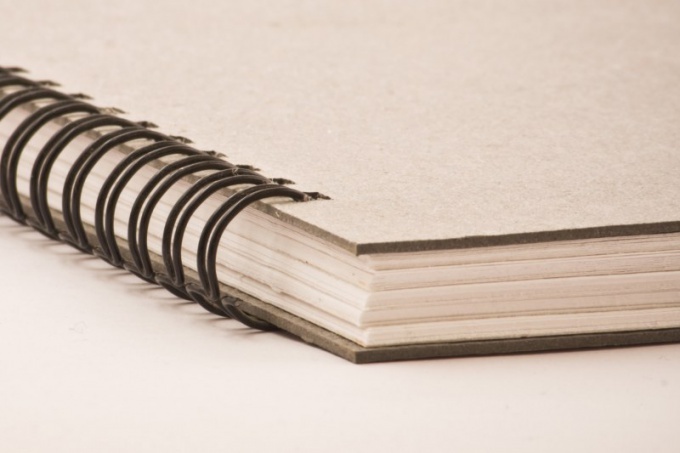 Hardcover is a tight bond document covers, United metal clip. Its production takes as a rule, not less than one day. Some firms accept orders via e-mail. Version of the design (color, lettering) you can choose. Look work is solid, but it will cost you about 300-400 rubles. As a rule, the Department is required to take 3, and sometimes 4 copies of the thesis, so it makes sense to choose the cheaper option – a binding. Diploma – not a degree. The main thing that it looked neat, and the leaves would not decay and have a solid feel it is not necessary. The cost for soft cover is about 100-150 rubles. The leaves are held together with a plastic or metallic spring, the work is sewn a transparent cover. Is this mess in the first 5-10 minutes. If you want to flash a thesis independently, you will need a hole punch. Powerful punches are at least 1000-1500 rubles. Simpler models allow you to punch holes a maximum of 35 sheets at a time (i.e., the diploma will be divided into parts, marking with a pencil the location of future punctures). Buy a folder with cord for binding the leaves. File folder with metal mechanism will not work, because it is not reliable. Gently fold the sheets of the thesis in the stack. Having made holes in them using hole-punch, insert the sheets in the folder and tie a lace. Secure the knot (it should be at the rear of) sticky tape (strip of paper). Hole punch if you have one, and buy it you do not plan to use the drill to make holes for stitching the thesis. Ensure that the sheets are not shifted when you do that.